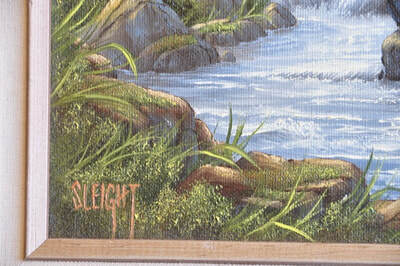 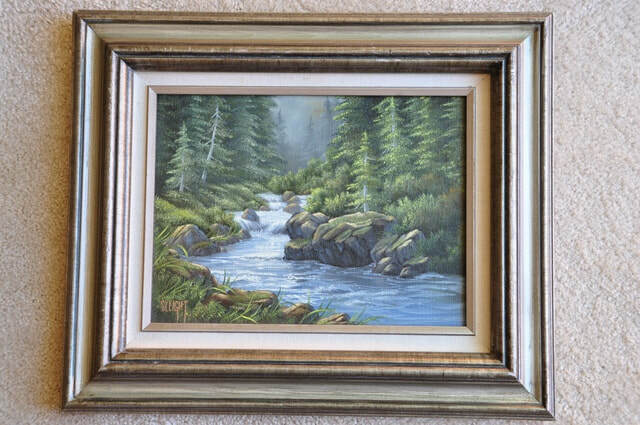 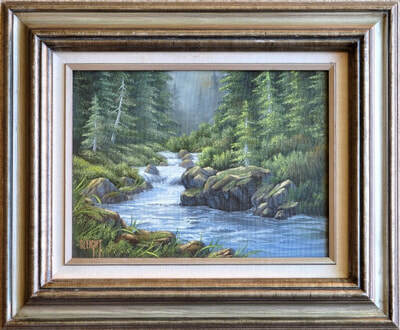 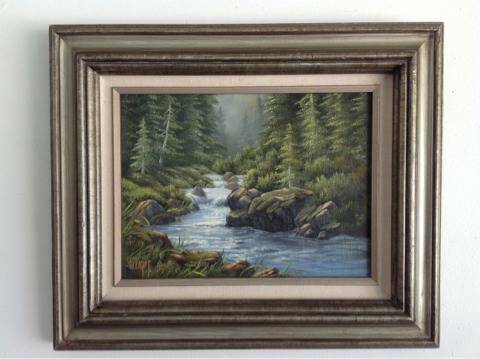 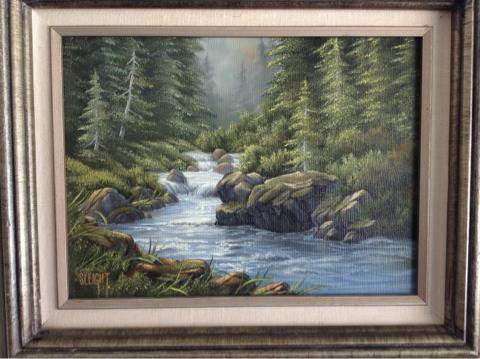 This is an original oil on canvas landscape painting by Judy Sleight depicting a stream flowing through a pine forest. 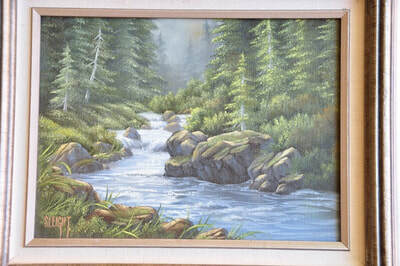 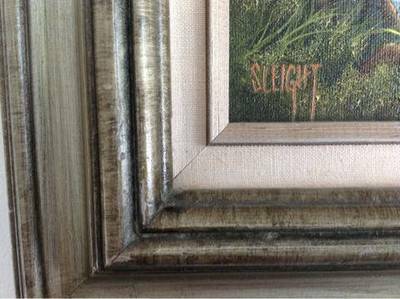 This was painted in 1982, which is indicated on the back of the frame. There is also a signature on the back in addition to the one on the front. 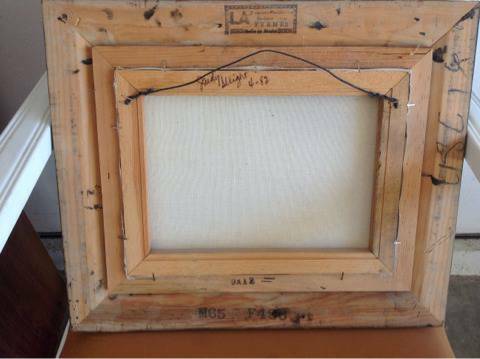 The frame is 17"x14" in size.